Meet Huibre-Mare and Louise-Mare Botes. 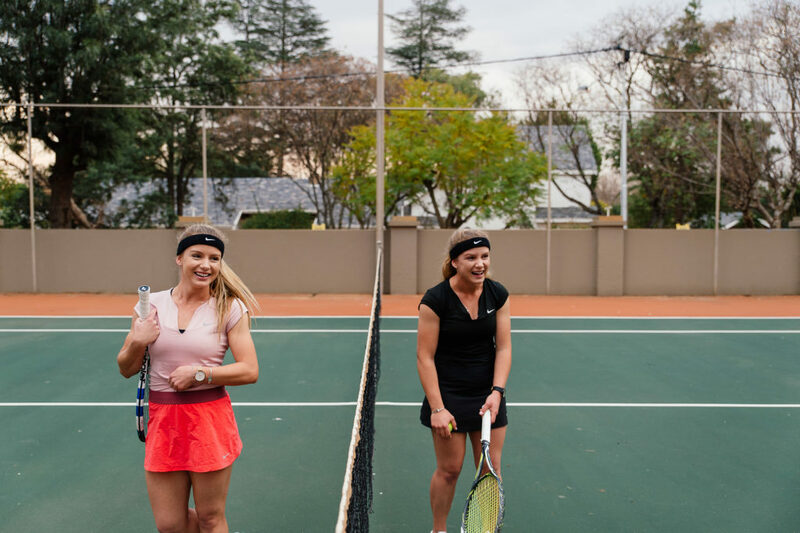 The exceptionally gifted Tennis prodigies from Bloemfontein. Probably two of the most talented and dedicated young women we have ever met. To have such incredible focus and commitment at such a young age is truly remarkable! 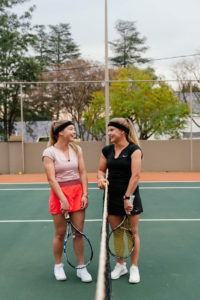 They both represented South Africa for the U14, U16 and U18 teams in tennis. Huibre-Mare was ranked the No. 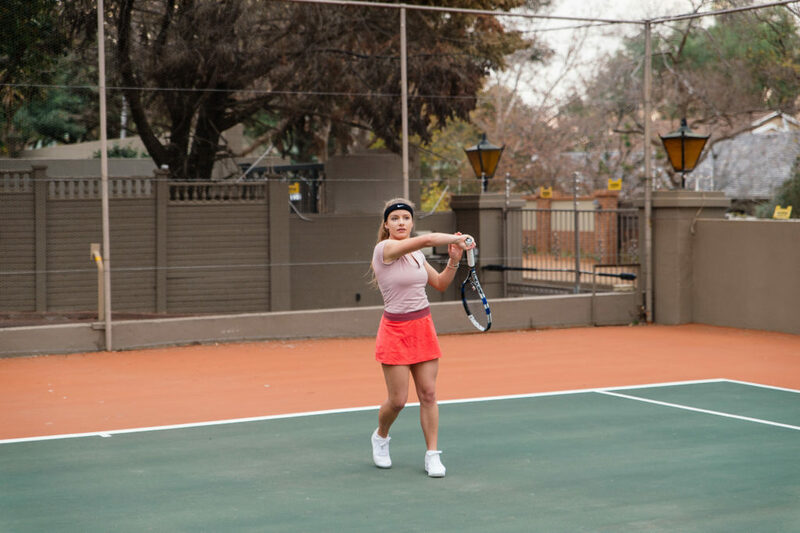 1 school tennis player in South Africa and also won the South African National singles title. 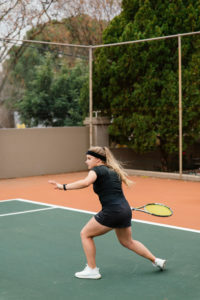 Louise-Mare was ranked in the Top 5 at SA U18 level and won the East Africa Junior ITF Singles title. 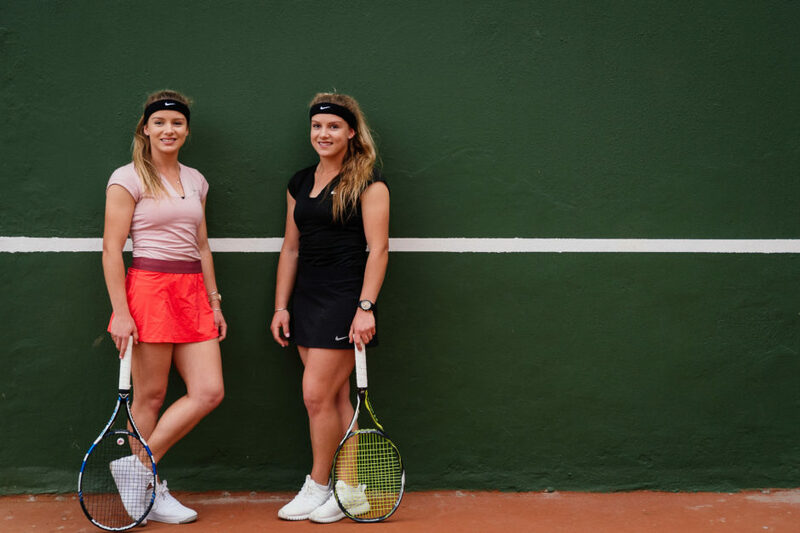 AND if that’s not impressive enough, Huibre-Mare and Louise-Mare also make a formidable doubles team winning the East Africa Junior ITF Doubles Championship, the Amanda Coetzer South African School Tennis Double Championship as well as the South African National doubles title. 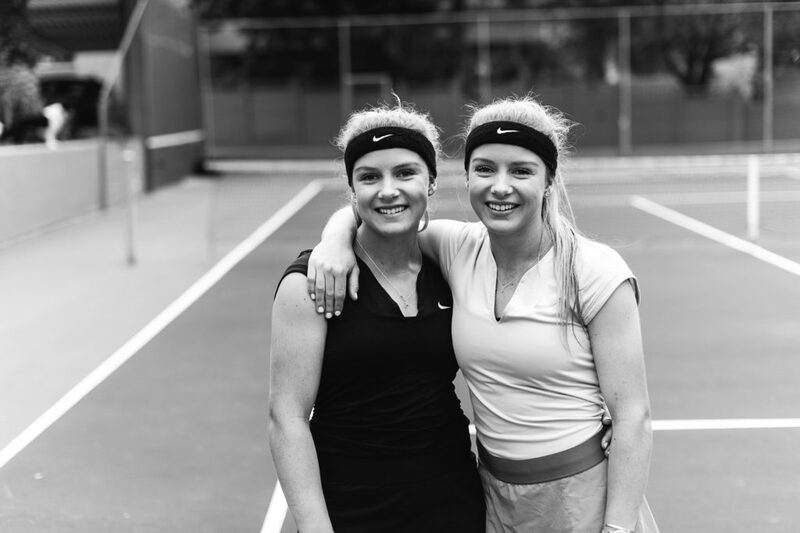 Currently studying in the States on Tennis Scholarships, these two are not only sporty, but also genuinely SMART! 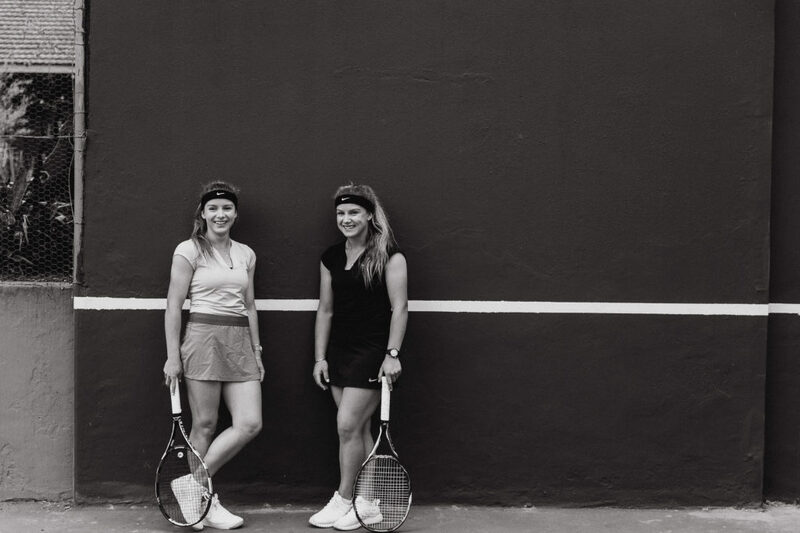 It is our pleasure to introduce to you the lovely Huibre-Mare and Louise-Mare Botes. Louise-Mare: I attended Fichardtpark Primary School from Grade 1-7, Meisieskool Oranje Grade 8-10 and then ACE Home School grade 11,12. Where and what do you study? Huibre-Mare: I am a law student at Idaho State University in the USA. 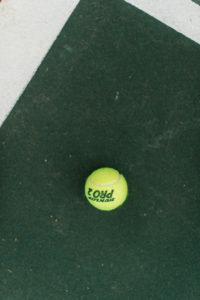 Huibre-Mare: To become a professional tennis player. Louise-Mare: I had two dreams as a child. One was to become a professional tennis player and the other was to heal people. Advice that shaped your tennis career? 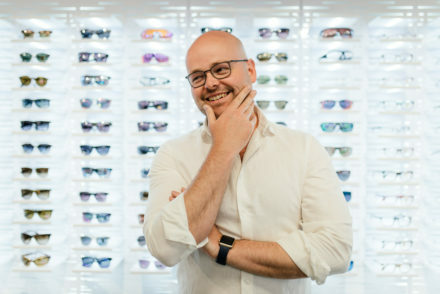 Huibre-Mare: I noticed that most South Africans are very polite and always try to be the least, with the result that people easily intimidate you. I quickly learned to have confidence in what you do and to believe that you are the best is a recipe for success. Louise-Mare: Forget about who your opponent is, where they’re from and what they’ve accomplished, focus on yourself and the ball. Huibre-Mare: Coffee, no just kidding, actually improving. I love the satisfaction of working hard and then see how things improve. Louise-Mare: New challenges. Whether it is challenges on the tennis court, in class, and even social challenges is what gets me out of bed. Huibre-Mare: Other successful, and hardworking people. Louise-Mare: Seeing myself improve in whatever I’m busy with motivates me to continue and try to improve even more. Huibre-Mare: I love reading and doing tasks around the house. Louise-Mare: I like to spend my down time by reading and going to a coffee shop with my sister and cooking. Huibre-Mare: If you work hard, then whatever you achieve is successful according to your ability. Louise-Mare: To me success is the satisfaction I get after I’ve work hard for something and accomplished or completed something that looked impossible to complete when I started. 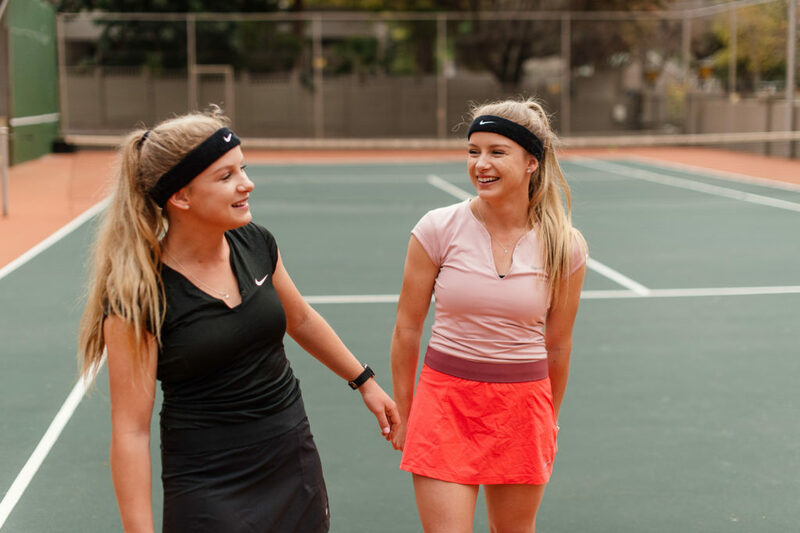 What sets you apart from other tennis players? Huibre-Mare: My confidence and resilience. Louise-Mare: Definitely my confidence and fighting spirit. 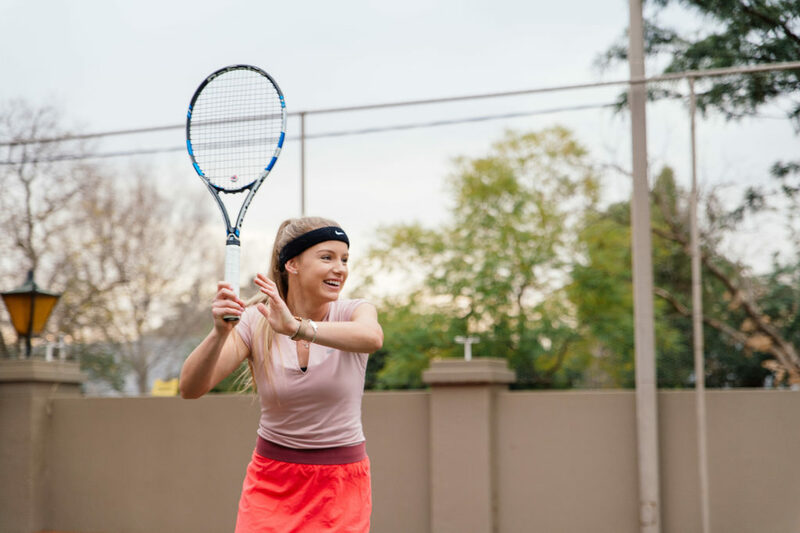 What are the valuable lessons you have learnt in tennis? Huibre-Mare: To take responsibility for your own doings. 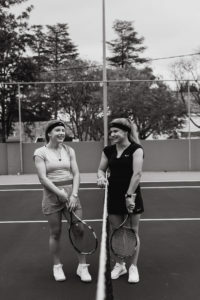 Louise-Mare: The most valuable lesson tennis taught me is no matter what you do it is very important to believe in yourself. 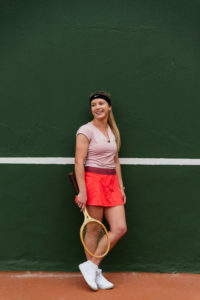 What makes a great tennis player? Huibre-Mare: You have to play with your heart and soul, but unfortunately genes also plays a role. Louise-Mare: Someone that’s willing to work hard and be patient. Huibre-Mare: Someone who cares for their teammates. If you always give your best, your teammates will feel inspired. Louise-Mare: A great teammate is someone that is unselfish. With this I mean someone that is willing to sacrifice a lot of their time and effort in order to make the team great. Huibre-Mare: Someone who is like a mother who helps you a lot mentally and tactically. Louise-Mare: To me great coach is someone that gets the player and the team to believe in themselves. Huibre-Mare: Feisty, dedication, and resilience. 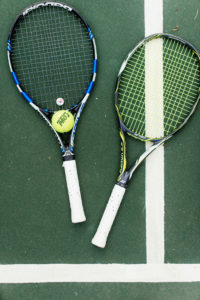 What are your 3 biggest accomplishments in your tennis career thus far? One of my biggest accomplishments happened this semester – I was able to have a 11-0 winning record in our University’s conference. 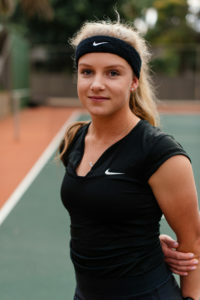 Being part of the South African U/18 Tennis team. 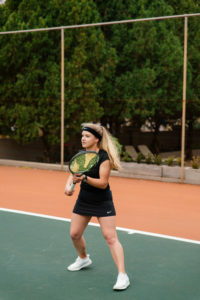 Winning my first International Tennis Federation tournament. Huibre-Mare: I love cooking I do not know if it is a hidden talent, but at least I like it. 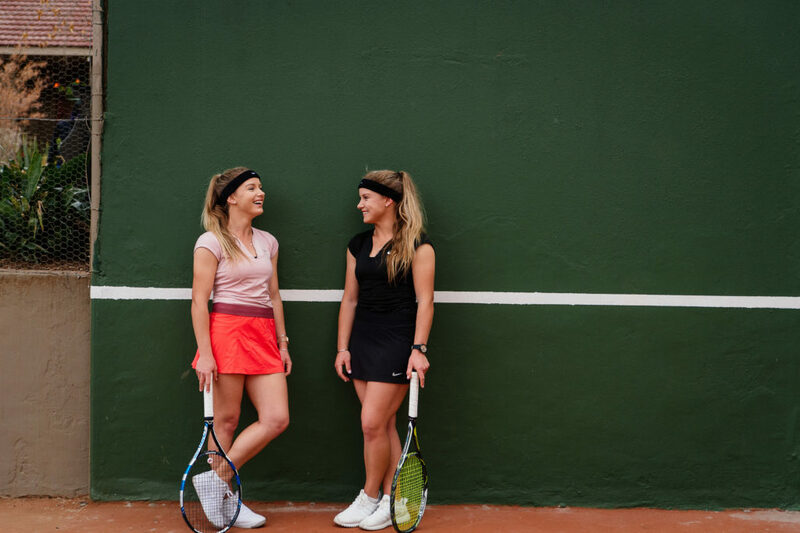 What other tennis players do you look up to? Huibre-Mare: Roger Federer the greatest persona and Serena Williams’s way of play. 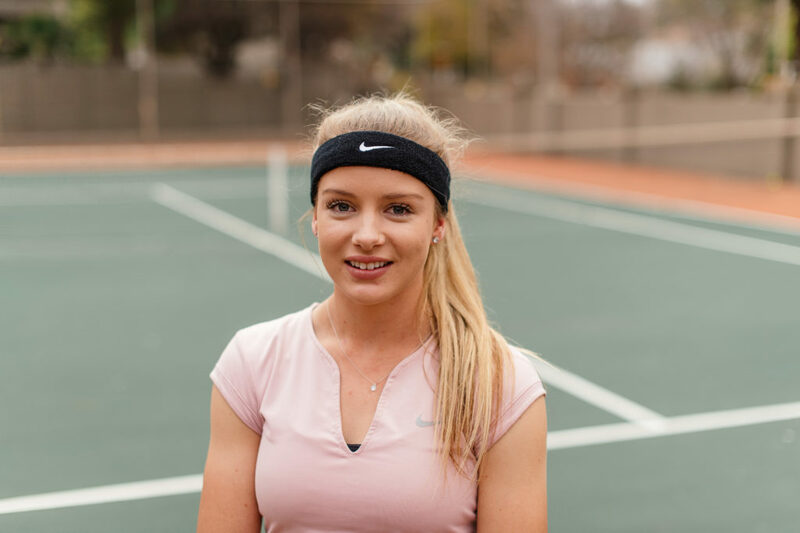 Louise-Mare: I look up to Serena and Venus Williams. I admire their perseverance and their will to win. 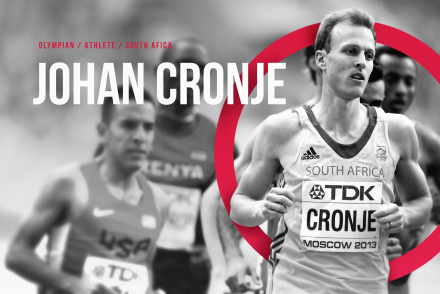 What is one characteristic that you believe every great sportsman or woman should possess? Huibre-Mare: Dedication, in most sport you lose more than you win especially in the beginning and that is why so many people quit. You just have to hang in there and the tide will turn. Colour: Purple, but I love white shirts. Sport: I love watching all kinds of sport. Band: I have a favourite artist which is Rachell Plattin. Movie: Just go With it starring Jennifer Aniston and Adam Sandler, it makes me laugh. If you could meet anyone living or dead who would it be and why? German Prime Minister Angela Merkle. She is a very “strong” women and I admire her humbleness. Book or Magazine: Definitely both it depends in what mood I am and how much time I have. 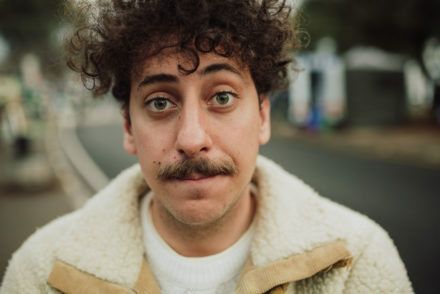 If you could meet anyone living or dead who would it be and why? Neil Armstrong because I’ve always had a fascination to learn more about outer space. Online inspiration: Kayla Itsines’ fitness blog.